Field Sobriety Tests, or “FSTs” as they are called by law enforcement officers in Bryan|Brazos County may include any of a dozen or more exercises. The more commonly encountered are: finger-to-nose, walk-and-turn, one-leg-stand, horizontal gaze nystagmus (HGN), the Rhomberg test, fingers-to-thumb, reciting the alphabet, and hand pat. Contrary to popular belief, you are not required to take these tests. In fact, you may refuse to take them altogether. Even though the officer may still arrest you for DWI, you have not provided the officer with any solid evidence of suspected intoxication. Studies funded by the National Highway Traffic Safety Administration (NHTSA) have shown that only three of the field sobriety tests – the one-leg-stand, the HGN, and the walk-and-turn – are effective in detecting an intoxicated driver. Other FSTs are simply unreliable. Police agencies across the country have adopted a NHTSA-recommended “standardized” battery of these three FSTs. How accurate are field sobriety tests used by Texas law enforcement officers in DWI/DUI investigations? In 1991, Dr. Spurgeon Cole of Clemson University conducted a study on their accuracy. His staff videotaped 21 individuals performing six common field sobriety tests and then showed the tapes to 14 police officers and asked them to decide whether the suspects had “had too much to drink to drive.” What the officers did not know was the blood-alcohol levels of each of the 21 subjects was .00 percent. None of the subjects had consumed any alcohol at all. The results? 46% of the time the officers gave their opinion the subject was too intoxicated to drive. In other words, the tests were roughly as effective as flipping a coin. Cole & Nowaczyk, “Field Sobriety Tests: Are They Designed for Failure?”, 79 Perceptual and Motor Skills 99 (1994). 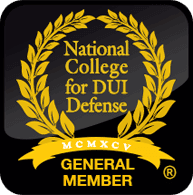 You need a Bryan DWI defense attorney familiar with the arresting officer’s FST training and written manuals. Contact the Firm right away to review your charges.